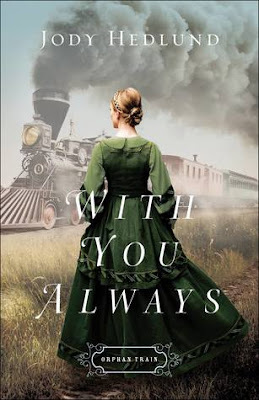 While it took me a bit to get used to Sophie grown up, the concluding story of the Orphan Train series sucked me in just like the previous novels and immersed me in the period. I loved how protective Sophie is of Olivia and Nicholas and devoted to keeping them together. She doesn't have many choices or resources, but she's scrappy and has made a life for them, however destitute. 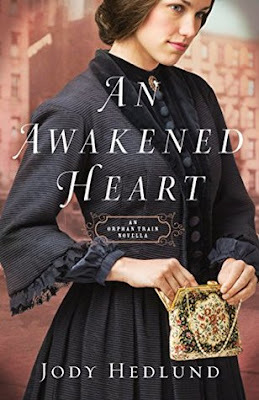 I've always been fascinated by the history of the orphan trains, and this book was different than the others in the series since Sophie plays the role of an orphan and also sacrifices for Olivia and Nicholas the way a mother would. I loved seeing Reinhold get the farm he worked so hard for and the relationship he built with his neighbors. He and Sophie are drawn to each other not only because of their past history as family friends, but the powerful attraction that springs up and fills the book with romantic tension. I loved their chemistry and the way they cared for each other! The plans they make to try and get Olivia and Nicholas back bring them even closer together, but also brings a vulnerability into their relationship dynamic. The themes of abandonment, guilt, and forgiveness brought depth and I was glued to the pages as I read, and loved the way the characters and story came to life. Enter the giveaway on Goodreads to win a copy of the book! What is the inspiration behind your orphan train series? 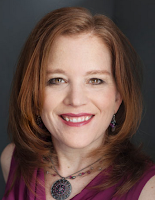 I have long been fascinated by the era of the Orphan Trains and the heart-wrenching stories of the homeless and helpless young orphans that were taken from eastern cities and shipped west by the dozens. I was familiar with stories of those scared orphans who were placed out in what was thought to be a more wholesome, healthy environment of the newly settled Mid-Western states. Some of the orphans found happy endings and were adopted into loving families. Others experienced great abuse and heartache in their new homes. What challenges did you face in writing this particular story? The placements weren’t always as ideal as the Children’s Aid Society hoped. I attempted to portray a variety of types of placement, giving light to both the positive and negative situations the children faced. During my research, I found numerous stories of real children who rode the trains, were adopted into loving families, and grew up to appreciate their new homes and lives. I also read just as many tragic stories of children who didn’t fare well, were placed in multiple homes, were abused, and struggled to find fulfillment for the rest of their lives. What do you hope readers take away from Searching For You? I hope that readers gain a greater awareness of just how difficult a time the nineteenth century was for so many of our nation’s children. I also hope readers gain an appreciation for the many families who opened their homes and hearts to homeless children. May their example inspire us to do likewise. If you had a whole day to relax (and anything is possible!) what would you do? I’m in the editing phase of the first book of a brand new series, A Reluctant Bride, which releases in June of 2019 (next summer). 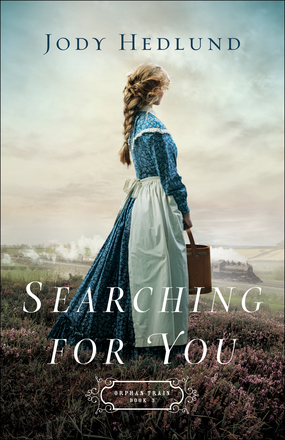 The series is inspired by several bride-ships that left England in the early 1860s and sailed to British Columbia in Canada where there was a shortage of women. When the first bride-ship arrived in Vancouver, hundreds of men lined the shores to greet them and be the first to find a bride. As I was researching this fascinating era, questions kept surfacing. What kind of woman would join a bride-ship? Why would these women leave everything they knew to sail halfway around the world for the purpose of becoming brides to men they didn’t know? I hope you’ll join me in exploring the answers to these question as I delve into my new series. 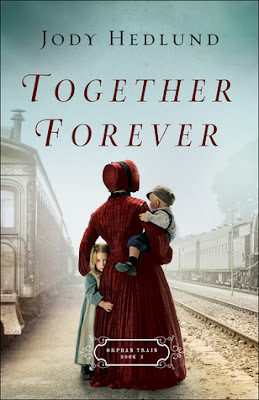 Don't miss the other books in the Orphan Train series . . .